Robert Troy "Bobby" Kimball (born March 29, 1947) is an American singer, best known as the original and longtime frontman of the rock band Toto.Robert Troy Kimball was born in Orange, Texas, and was raised in nearby Vinton, Louisiana, as Vinton did not have a hospital (thus, he was born across the state line). Kimball started singing as a child, dabbling on voice and piano in a musical household throughout his youth. 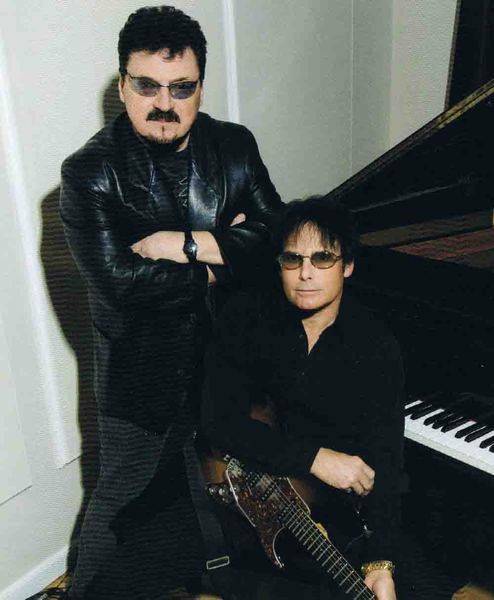 Throughout the 1970s, Kimball performed as a vocalist in various New Orleans-area bands, including The Levee Band, which would later become LeRoux after Kimball left.In 1974, Bobby Kimball left Louisiana and moved to Los Angeles where he joined 3 members from the defunct band, Three Dog Night, to form a new band called S.S. Fools. They released one album on CBS Records, but the band split up within a year and a half. About six months later, Kimball was asked by David Paich and Jeff Porcaro, to join the five session musicians to form Toto. He submitted a self-penned audition song for the band, "You Are The Flower", which was included on their debut album. Kimball performed on the first four studio albums by Toto, but was released from the band in 1984 during the sessions for the Isolation LP.A longstanding urban legend holds that the band named itself 'Toto' after Kimball's "real" name, "Robert Toteaux." In reality, this story was simply a joke perpetrated and perpetuated by Toto's original bassist, David Hungate. According to Toto guitarist Steve Lukather, the reason for this choice of band name was that Toto was "really simple, easy to remember and easily identified in every language. "Kimball was also well known at the time for making a variety of sandwiches for the band during recording sessions, which he stated in interviews as something he is very proud of. Jimmy Wayne "Jimi" Jamison (born August 23, 1951 in Mississippi) is an American rock vocalist and songwriter, best known as the longtime frontman of platinum selling rock bands Cobra and Survivor and as the voice and cowriter of the theme song for Baywatch.By the late 1970s, he was fronting the local Memphis band, Target, and he went on to become the lead singer of the more well-known band, Cobra in the early 1980s. He would later provide background vocals for successful bands including ZZ Top, Joe Walsh and many others. After the demise of Cobra in 1983/84, he was invited to join Survivor, whose success had been on the wane since their number-one hit, "Eye of the Tiger." Although he was initially not adamant about fronting what he considered more of a "pop rock" band, which would contrast significantly with the heavy metal stylings of Cobra to which he had become accustomed, Jamison ultimately joined and became Survivor's new frontman. When you think about major numbers in AOR history, immediately two names come to mind; Toto and Survivor. 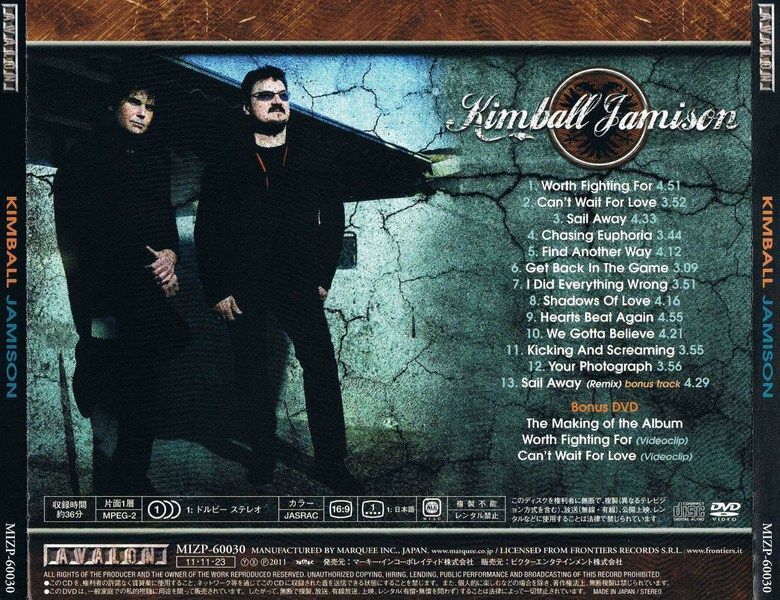 The soaring vocals that kept these melodies in so many fan's hearts come from two amazing singers: Bobby Kimball and Jimi Jamison.For the first time in their career, Bobby and Jimi joined forces to record a CD together, and the result is "KIMBALL JAMISON", in this Japanese edition including a bonus track and different artwork.Ego troubles here? Not at all. Bobby and Jimi are long time friends and have been singing live together with the ‘Legends Of Rock’ and the ‘Voices Of Classic Rock’, which consist of singers and musicians from very popular Classic Rock groups.From these classy singers you would expect a large dose of '80s arena ready, radio friendly, and extremely catchy melodic rock, and you would be right. 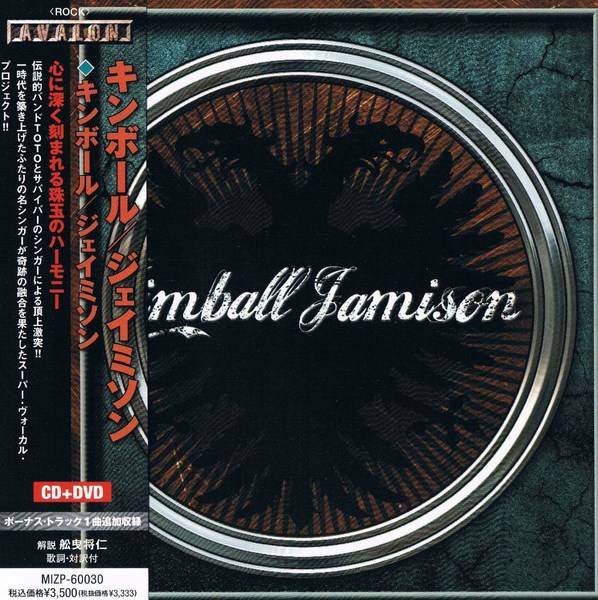 "Kimball Jamison" is pretty amazing.With the majority of the songs penned by the likes of Richard Page (Mr. Mister), Jim Peterik (Survivor, Pride Of Lions), Randy Goodrum (Steve Perry, Toto), John Waite, Erik Martensson (W.E.T.) and Robert Sall (Work Of Art) among others, you can't go wrong.Bobby and Jimi take it in turns to sing the verses in general before combining on the chorus and their different distinctive voices make it easy to identify their respective contributions.The back up band is excellent; Alex Beyrodt handling guitar duties, Matt Sinner on bass, keyboards supplied by Jimmy Kresic and Martin Schmidt performing drums and percussion.The album opens up with a familiar Survivor-like staccato guitar / keyboard riff on "Worth Fighting For". A classy fist pumping-style track to die for, with a lovely melodic guitar solo. It pretty much sets the standard for this great CD. "Can't Wait For Love" comes over all nice then kicks into a mid paced slice of AOR heaven. Both singers blend perfectly their harmony vocals on this anthemic number, with equal time for each terrific voice they both have a chance to shine.The splendid melodic line of "Sail Away" has all the ingredients that made this genre the best on the planet. Commercial, catchy tune ready for radio. "Chasing Euphoria" is a fast paced rocker with great vocal interchanging between the two protagonists. Perhaps the repeated refrain is a bit redundant, but the magnificent chorus will stick in your mind for days to come. Meaty guitar solo here.Next is the first ballad, the atmospheric "Find Another Way" which is very reminiscent of Survivor in their prime. Really nice and touching track. "Get Back In The Game" is a winner. This is a tremendous AOR arena rocker with first class vocal harmonies, catchy rhythm and a big guitar tone. This is what rockin' AOR is all about guys. The best track on this album and surely a live favorite. A 10/10 gem.The most 'emphasized vocal' track is the mid-tempo rocker "I Did Everything Wrong". A mature sounding song with a punchy melodic rhythm and classy, soaring performances by Bobby/Jimi. Another highlight. "We Gotta Believe" is a mid-paced tempo with very nice smooth harmonies. This track has a solid Euro Melodic Rock structure.And then you have "Kicking And Screaming" with a hint of Bon Jovi’s ‘Born To Be My Baby’ imbued in its skeleton featuring urgent impassioned vocals and another excellent guitar solo.The album ends exquisitely with the soaring ballad "Your Photograph" delivering the goods. 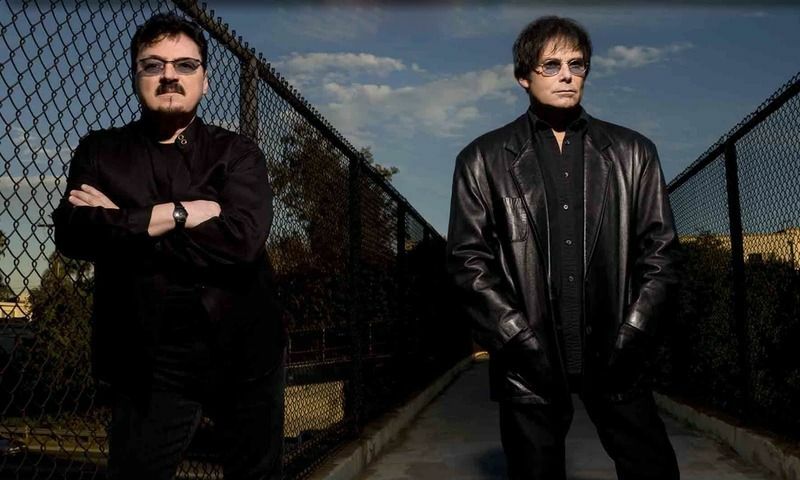 As plus, the Japanese bonus is a a more relaxed, smooth remix version of "Sail Away".The AOR pedigree of Bobby Kimball and Jimi Jamison is simply unquestionable, both having molded the classic AOR sound. But with these monsters together, you need to make the project work.And works great on all aspects.Their voices are in top form on this record, the songs are fantastic and the musicians involved excellent. All wrapped by a top notch production by Matt Sinner, ably assisted by Jimmy Kresic, (both doing double duty), very clean, crisp and warm, finely mixed to showcase the superbly talented musicians’ performances.Honestly, there's not a bad song here, "Kimball Jamison" is a winner.